RFC | REGISTRATION IS OPEN. WELCOME! WELCOME TO RIGA FLOORBALL CUP 2019! We are pleased to announce the 7th annual International Floorball Tournament “Riga Floorball Cup” on 16 -18 August, 2019. The International Floorball Tournament “Riga Floorball Cup” is held in order to gather floorball players from all over the world and to establish the best teams and players in all groups. The Floorball tournament is organized by Union „Sportot” in collaboration with Society „ Latvian Floorball Union” according to the rules of the „Sport’s Law” from 24 October 2002. “Riga Floorball Cup” is managed by the chief referee of the tournament who is also responsible for the course of the tournament. The issues about the violations of the tournament regulations and application of the disciplinary measures are decided by the Jury of the tournament. Floorball tournament takes place from 16 August till 18 August 2019, at the International Exhibition centre Ķīpsala, Ķīpsalas street 8, according to the gaming calendar drawn up by the chief referee. The organizers have the rights to lead the games also in other halls. Players outside the designated age groups. The exception applies to a player who is a year older than it is stated by the age group. May apply for the tournament two players who are a year older, but each game may participate in only one player covered by the exception. Before the beginning of the tournament, each team has to stat very accurately the players who do not correspond to the category of the participants group. During the Floorball tournament no other exceptions are assigned. 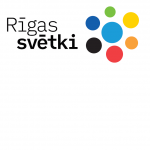 ATTENTION: By attending and/or by participating in the Riga Floorball Cup tournament you do not oppose your filming, photography and the publication of materials in the tournament media.